Not only did Depatie-Freleng create The Pink Panther cartoons. 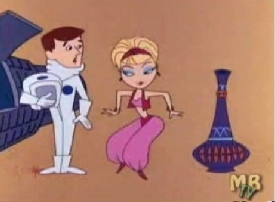 They also did the opening credits for I Dream of Jeannie. When I Dream of Jeannie was shown in Germany, an entirely new opening sequence was created using a more Germanic wish-granting housewife. 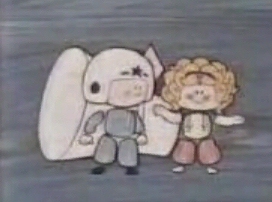 Even stranger, the original opening was live-action.